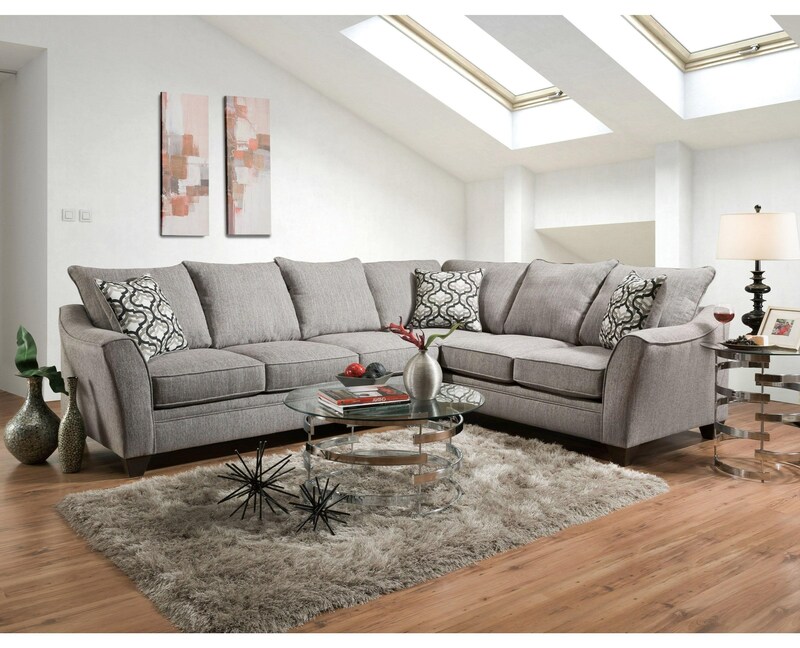 Bring an updated feel to your home with this sectional sofa. This sectional features five seating options and allows plenty of space for two people to sprawl out. The sectional is complete with coordinating accent pillows. Add on the matching round ottoman (sold separately) to complete the look. The 4810 5 Seat Sectional Sofa by American Furniture at Miskelly Furniture in the Jackson, Pearl, Madison, Ridgeland, Flowood Mississippi area. Product availability may vary. Contact us for the most current availability on this product. The 4810 collection is a great option if you are looking for Casual furniture in the Jackson, Pearl, Madison, Ridgeland, Flowood Mississippi area.